A rendering of the new bridge. PENSACOLA — Cracks have been found in a portion of concrete being used for a mammoth bridge project in Florida. Cracks have twice halted construction of the $400-million bridge in the last several months, raising concerns about oversight and disclosure from the state. The state is replacing a nearly 60-year-old bridge that crosses Pensacola Bay in northwest Florida. The bridge connects Pensacola to Gulf Breeze. A Florida Department of Transportation spokesman said that the cracks were found on part of a bridge deck that cracked during hardening. Gulf Breeze Mayor Matt Dannheisser said state officials should have let the community know about the cracks. Federal investigators are currently investigating the March collapse of a pedestrian bridge in south Florida where six people were killed. Cracks were discovered days before the collapse. 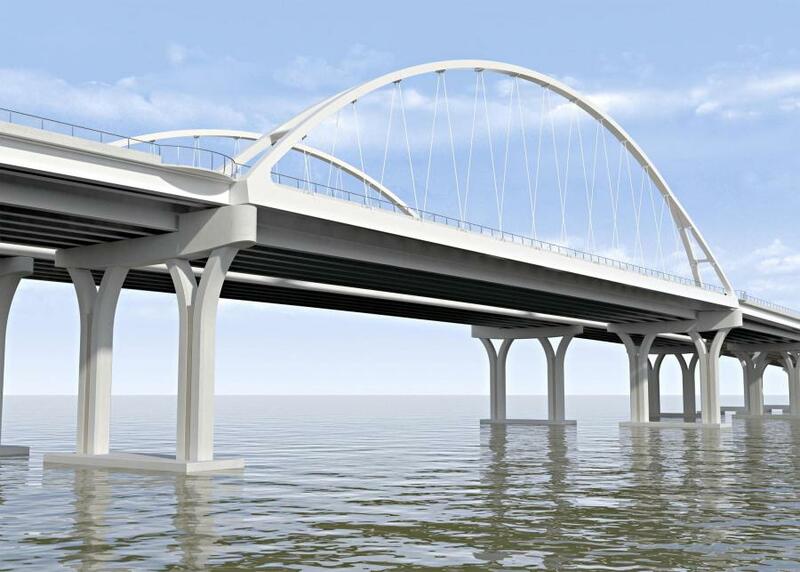 When complete, the $398.5 million Pensacola Bay bridge project will improve traffic flow for the estimated 55,000 U.S. 98 drivers who travel the bridge each day.